This is always a busy time of year, so I’m a little late reporting on something that could have a profound impact on health care. 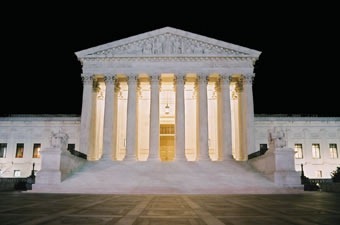 Last month, the United States Supreme Court agreed to hear challenges to the 2010 Patient Protection and Affordable Care Act (PPACA). The briefing schedule was just released last week. It looks like briefs are due throughout January, February, and March. We can anticipate oral arguments before the Court shortly thereafter. Although there is no way to predict when the Court will hand down any given decision, all cases argued during a particular term are decided prior to the summer recess, so we should have a decision by the end of June. The timing of this is interesting because it means there will be a decision right around the time the 2012 presidential campaign heads into its final months. In announcing its review of the case, the Court is consolidating two pending lawsuits. Both seek to overturn the Act, with the primary question being whether the law is constitutional – in particular, the mandate for individuals to obtain health coverage. Specifically, an appeal from the United States Court of Appeals for the Eleventh Circuit in Atlanta is aimed at reversing the decision that a three-judge panel made to strike down the mandate. The panel felt that Congress did not have the authority to do this despite their constitutional power to regulate commerce and levy taxes. This particular appeal dealt only with the mandate, however, and left the rest of the Act intact. The other appeal attempts to overturn a decision in the Eleventh Circuit that ruled against Florida and other states on a challenge to the law’s expansion of Medicaid. The states also argued that Congress exceeded its reach by expanding Medicaid eligibility and coverage thresholds that states must adopt. Under the Act, states must meet new conditions or lose all federal Medicaid funds. There are several different actions the Court could choose: upholding the law, striking down only that provision, striking down other elements, or striking down the entire law. In a bit of a twist, they are also considering another issue coming out of the Fourth Circuit (Virginia) which could delay a final ruling until 2015 when penalties take effect and the ability of individuals to challenge the individual mandate becomes timely. There are a total of 26 states challenging the law. Given the polarization the law has caused, this is sure to be one of the more electrifying cases heard this year. In anticipation of the significance of the issue, the Court scheduled more than five hours of oral arguments instead of the usual one-hour argument. They will hear two hours of argument on the issue of overstepping constitutional authority, an hour and a half on whether the mandate can be separated from the rest of the act, an hour on the Medicaid issue, and an hour on the issue of whether it is premature to decide the case. Regardless of the outcome, it will be interesting to see how the presidential candidates react, not to mention how those battling on both sides of the aisle of Congress will react. For those of you who have a hankering for primary source material, briefs and orders are posted on the Docket page of the Supreme Court website. Have a question on the branches of government, touring Washington DC, or where Associate Justice Ruth Bader Ginsburg gets her kicky jabots? E-mail me. Nice summary – thanks much!